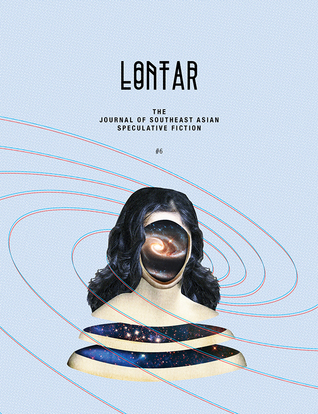 This issue of LONTAR presents speculative writing from and about Singapore, Vietnam, Indonesia, the Philippines, Cambodia and Laos. and speculative poetry by Jonel Abellanosa, Ang Si Min, Russ Hoe, Desmond Kon Zhicheng-Mingdé, Christina Sng, Sokunthary Svay, Krishna Udayasankar, Brendan Walsh and Marco Yan. Running in them probably feels like flying, she thought. Wouldn’t it be nice to run all the way into the sky and become friends with the birds? But then she imagined the scene around the bedroom after she would have fallen asleep. There would be her father, confined to his bed after he lost the use of his legs because of that construction accident; he would stare hopelessly at the ceiling, biting his lips and trying not to moan from the pain. Next to him would be her mother, who would have to get up before the sun was out to walk to the shirt factory on the other side of the city; the money she earned there paid for her father’s medicine. Giang’s wages paid for their food, and allowed her brother to continue in high school at the provincial capital. But with Giang fired, what would they do?